Below you will see a few more characters by Clay Crutcher. Some of the old mini's are hard to find. Green ooze is one of them. So I got talked into making these little monsters. Transparent polyester resin was used and they turned out kinda cool. 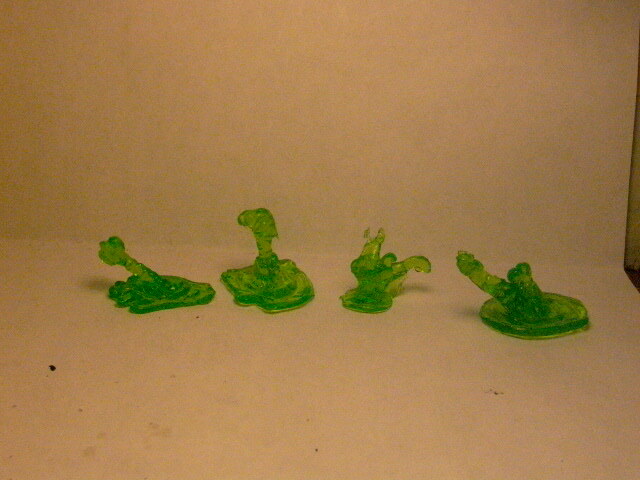 They are paintable also, if you don't like the glowing green transparent slime kinda look thing. You get four pieces, three fully formed slimes and one just forming. 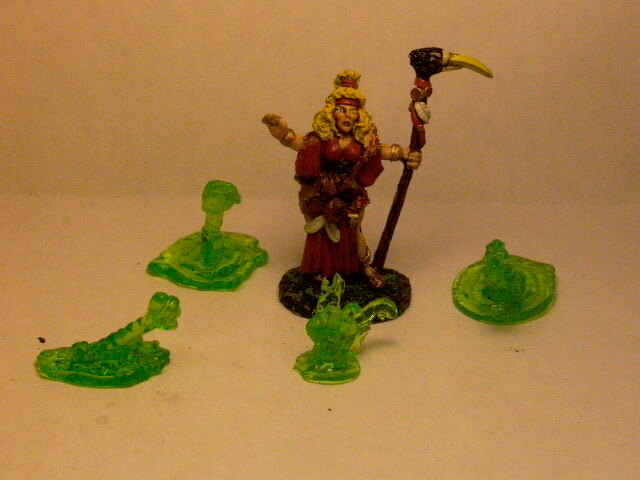 Pre Order Sale is over I had to go up to $3.00, but still a good deal on the slimy green OOZE. Is someone getting their nails done? 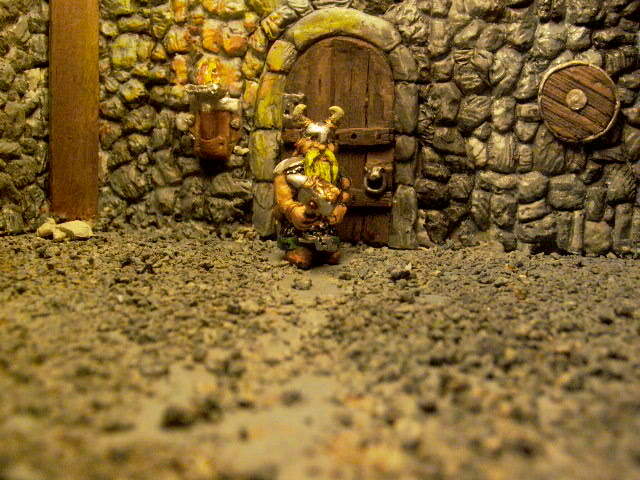 3.00 for Dwarf with warhammer. Green slime is on the move. Will go with any size 25mm, 28mm or 30mm. The Dwarf to the left is a lean mean smashing machine. Ready for battle with his ruby war hammer. 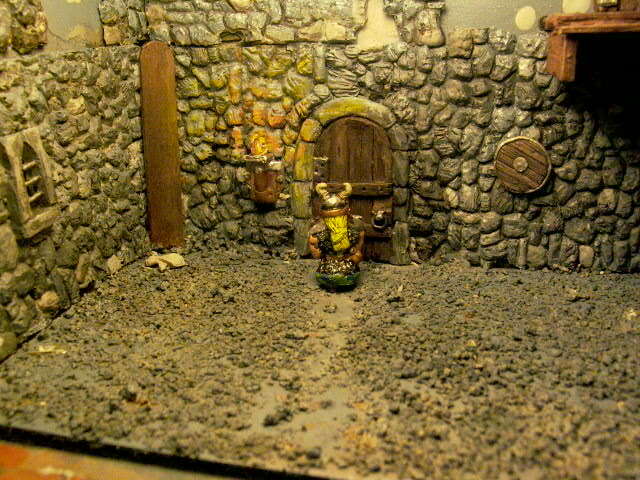 It also has a detailed Dwarf hero face on it. The side of the hammer facing him is flat and can be used for carving a rune of your choosing. A friend wanted ooze, and here it is green ooze. Reaper Mini used for scale only.